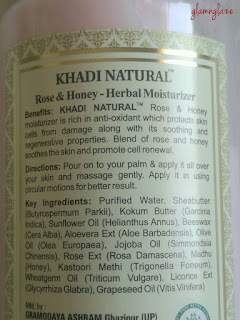 Today I am going to share with you my thoughts on the Khadi Natural's Rose & Honey Herbal Moisturizer. I was looking for a good herbal moisturizer and that's why I decided to try the Khadi Natural's moisturizer in the Rose & Honey variant. This is the first product from Khadi Natural's that I have ever tried.Read on to know my experience with this product. Gramodaya Ashram helps people and registered organisations economically under different schemes of Government Commission's one objective is to educate and inform rural mass about cottage industries and give technical guidance. We are the manufacturer of handspun and handwoven 100% cotton fabrics and khadi herbal beauty products. Apart of manufacturing we are also having our own retail stores (named as KhadiGramodyogBhawan) in New Delhi and Uttar Pradesh(India). We are currently doing exports to 25 countries. Our main region of exports are European Union, United States of America, Russian Federation and Asian countries. 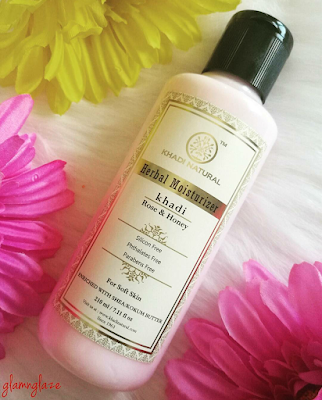 Khadi Natural™ Rose & Honey Moisturizing Lotion is suitable for all types of skin. keeps the skin hydrated throughout the day leaving a soft, comforting and lingering fragrance. The shelf-life,directions etc are mentioned as well on the packaging...nice! 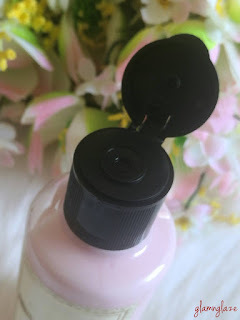 Yes, the product has a strong rosy-fragrance(roses) and it smells divine.I love the scent of this moisturizer.The scent lingers for some time and then fades away as the time passes. The moisturizer makes the skin soft and glowy...thanks to it's key ingredients : shea butter,kokum butter,honey etc. Overall,I like the Khadi Natural's Herbal Moisturizer in the Rose & Honey variant. Just a little greasy as per my liking. Yes,because it moisturizes my skin well & it's paraben-free. Have you used this moisturizer already? What do you think of it? Do share.